The weather has certainly warmed up with 30°C+ (88°F-ish) days lately. We discovered last year that Spring isn't like it was in Victoria, with a slow build up of beautiful mid 20°C (77°F-ish) days. Nope, here we jump right into hot. Honestly, the winter hats, hot water bottles etc are still out and were only used a week or so ago. But on that note, it means free hot water! 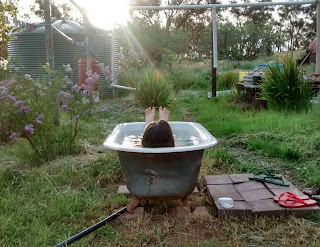 Ok, luke-warm water is good enough for now, but oh how wonderful it feels!! We're trudging along with the solar system. Step-by-step, little-by-little..
We've installed the conduit from the panels over to the batteries, fed the solar cable through (that is way more difficult than it sounds), bought just about every little bit of conduit joiner and accessory known to Masters (the hardware store), and we are still missing bits! 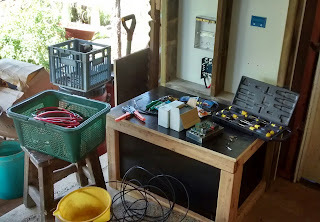 Tomorrow we'll add the switch between the solar panels and "Blue" (the affectionate name for the charge controller), put Blue into place and wire her up. After that, we've got a pretty big job of taking down each one of the panels and re-wiring them. Where there's a will, there's ALWAYS a way! What a luxury a bath makes. We haven't seen one of those deep cast iron ones for ages. They're certainly the ones to soak in, if you're going to. Plenty of room to stretch out. 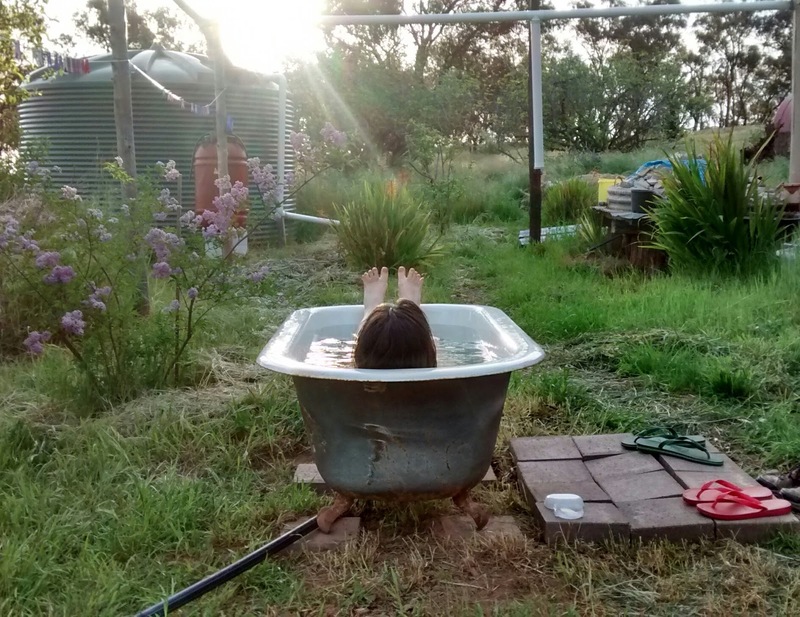 Not like modern baths. Fingers crossed for the first week of charging. If the sun hides away, it might have to be longer! Your seasonal change sounds a lot like ours. Straight into the 30's, as the 20's are fewer. We had to open all the windows in the house last night, for the first time - as the cool air is most welcome now.